To ensure a consistent supply of seasonal local produce from spring through fall, it’s not too late to sign up for a CSA subscription. Over the past two years hundreds of Virginia farmers have taken proactive steps to protect water quality on their land. The USDA Risk Management Agency has updated factors that will ensure the prevented planting program provides a strong safety net for farmers. Producers on farms with base acres under the safety net programs established by the 2014 Farm Bill can begin signing contracts to enroll for the 2017 crop year. Farm transition and estate planning workshops will be held Nov. 14 and Nov. 15. Food companies need to recognize that farmers’ sustainability goals can’t be achieved without the use of modern agricultural practices. Bringing together people from different agricultural backgrounds gives agriculture a voice and strength within a county. Farmers who are military veterans are getting help marketing agricultural products from a new branding program of the Farmer Veteran Coalition called Homegrown By Heroes. U.S. farmers spent $397.6 billion on agricultural production in 2014, up 8.3 percent from 2013. That’s the largest increase since 2008, according to the Farm Production Expenditures Annual Summary, published by the U.S. Department of Agriculture’s National Agricultural Statistics Service. Sustainable agriculture is about conserving resources. Mike Phillips, a Rockingham County beef cattle farmer and field technician for the U.S. Department of Agriculture Natural Resources Conservation Service, said he believes sustainable agriculture is not only about maintaining one’s resources, but also improving them—especially the soil. When storms hit, disaster plans help livestock farmers weather the damages. This past February, Wise County cattleman Danny Cantrell lost 13 calves because of 20-plus inches of snow combined with 20-below nighttime temperatures. 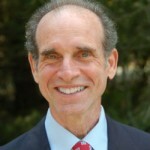 Delegates who farm said that work affords them a unique understanding of legislation that stands to affect Virginia’s farmers and rural communities. When winter removes much of the foliage from your garden, you can depend on colorful branches to provide visual interest, according to Augusta County horticulturalist Mark Viette. More farmers and other equipment operators are buying compact tractors instead of full-size machines these days. Joel Hudnall, owner of Turf’s Up Landscaping, said one of his most useful tractors has only 48 horsepower and a smaller frame. The Natural Resources Conservation Service is partnering with the Virginia Forage and Grassland Council and Virginia Cooperative Extension to make the connection between healthy soils and high-quality proteins for human health in four Winter Forage Conferences January 20-23. Today’s ATV have come a long way from the original three-wheel models and are a lot safer to ride. But dealers and users remind new owners that safety is still every user’s responsibility. One of Virginia’s oldest land conservation options has proven to be a valuable tool for farmers and other landowners seeking to protect their property from development. Brent and Margaret Arbogast of Rockingham County have been named winners of the 2014 Virginia Farm Bureau Federation Young Farmers Achievement Award. Shelley and Joe Barlow and their son, Joey, grow about 400 acres of cotton. On a particularly good day, they can harvest about 50 acres. Virginia tobacco farmers have lived through enormous marketing changes in the past 30 years, and more change is coming. About the only constant has been that tobacco is still an extremely valuable crop that’s worth the time and effort to grow. The American Farm Bureau Federation, the nation’s largest farm organization, has voiced displeasure with President Obama’s immigration reform initiative. 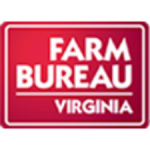 Farm Bureau producer members across Virginia are gearing up to discuss critical issues with state legislators in order to bring them up to speed for the 2015 Virginia General Assembly. Black Hops Farm, LLC will initially convert 15 acres of former pasture land into a hopsyard and build a new processing facility, becoming the largest hopsyard in Virginia. When you think of farming tools, you may think of tractors, cultivators, combines and other heavy equipment. In today’s digital age, a farmer is just as likely to be using another tool. Jardenea: Passion and technique meet in D.C.
Last week Sara and I had the privilege of visiting Jardenea at the Melrose Georgetown Hotel in Washington, DC. They invited us in to try their new fall menu. Project GROWS is a nonprofit community farm with the mission of improving the overall health among children and youth in Staunton, Waynesboro, and Augusta County. Most of the fighting at the Battle of Opequon took place on farmland that’s been in the same family since Colonial times and is being restored to its agricultural roots with the advice of the U.S. Department of Agriculture’s Natural Resources Conservation Service. Shamrock Farms announced on Friday the grand opening of its Augusta County milk plant. The plant officially opened yesterday with a small ribbon cutting ceremony attended by Virginia Secretary of Agriculture and Forestry, Todd P. Haymore.